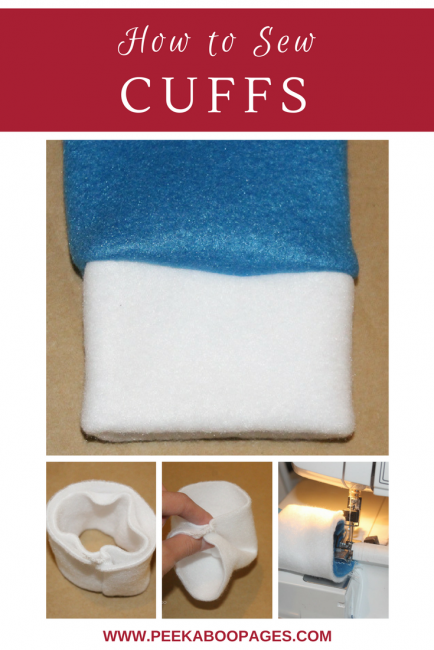 How to Sew Cuffs: Pajamas Sew Along Day 2 - Peek-a-Boo Pages - Patterns, Fabric & More! 1. Fold your cuff in half so the shorter edges line up. This is the length dimension in your cutting chart. Sew together. 3. And then I wrap one edge around so the cuff is double thickness. 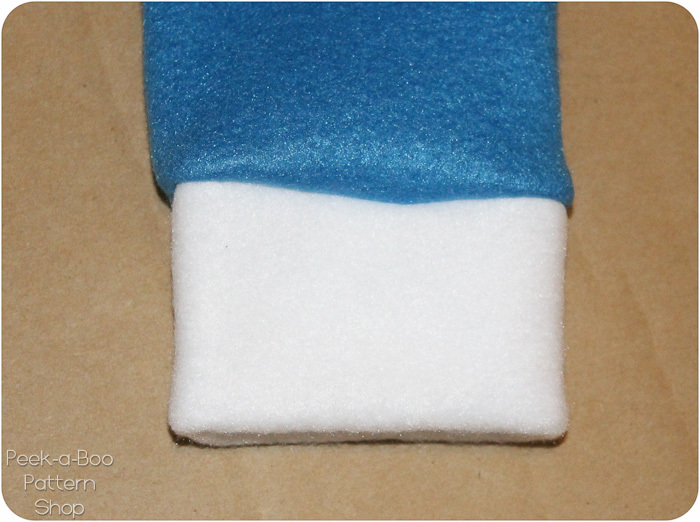 The seam will be on the inside. 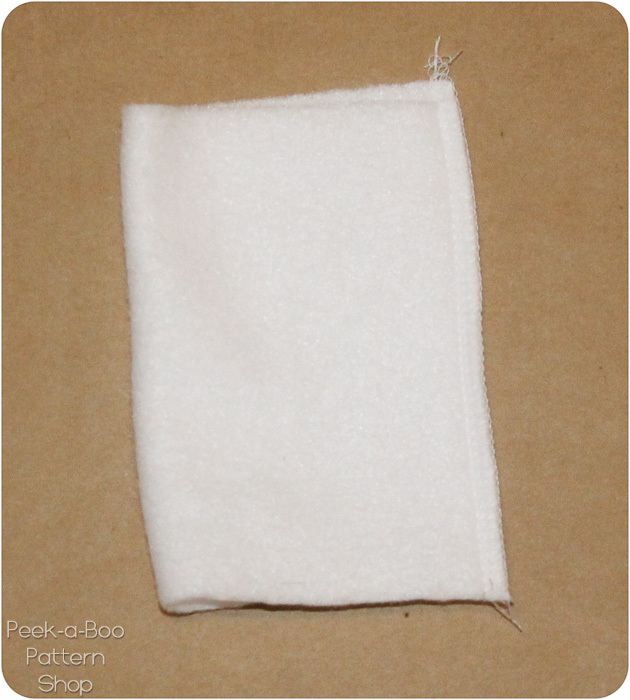 Now it’s ready to attach to your sleeves or pants! 4. 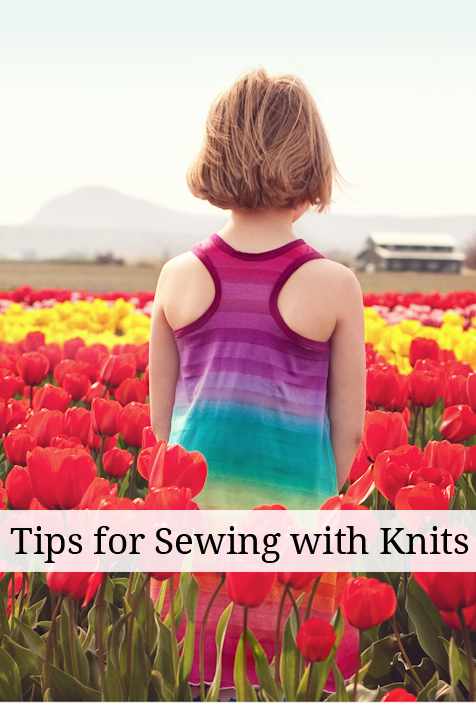 With your project right side out slide the cuff over the sleeve/pant leg and line up the seams. 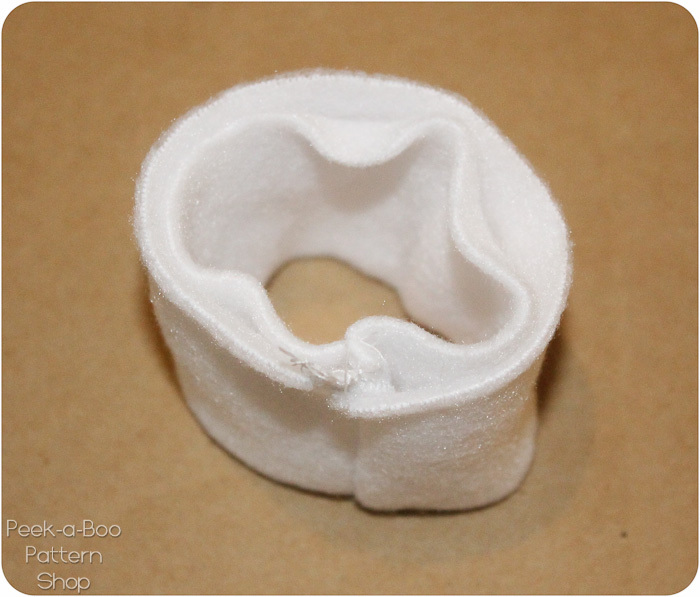 You will need to stretch the cuff to fit. I generally don’t pin as I find they just get in the way. 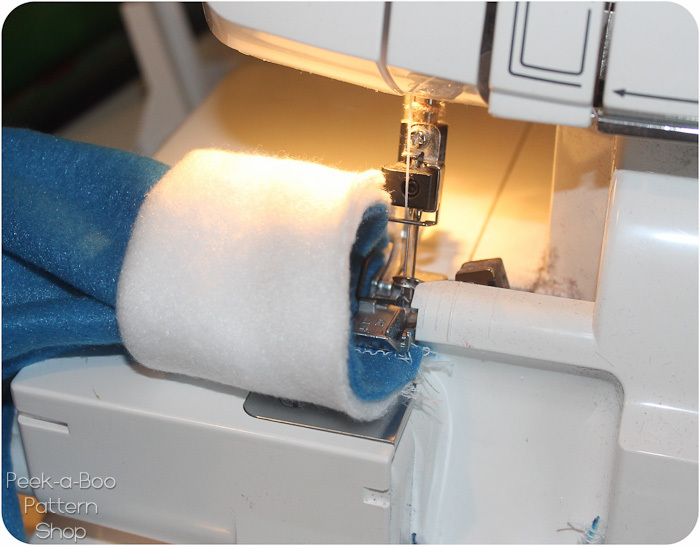 Cuffs are easiest to sew with your presser foot inside the cuff. 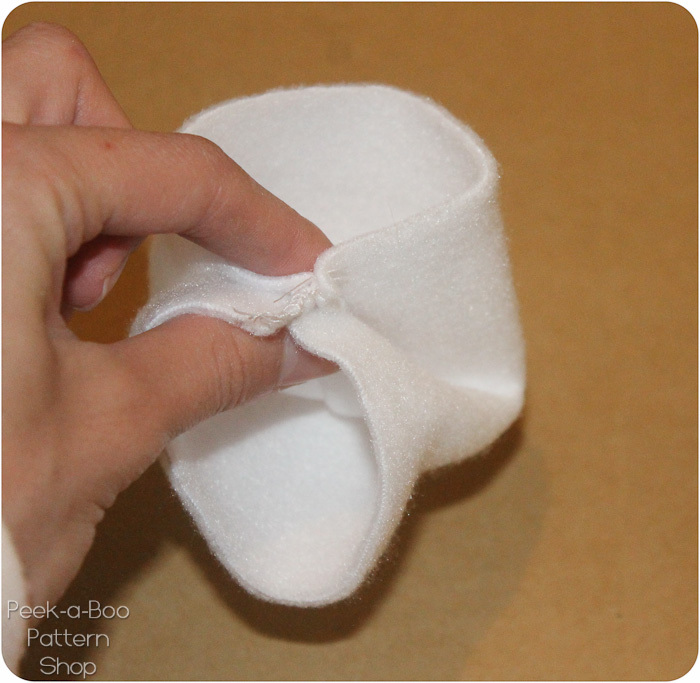 Even itty bitty newborn cuffs can be sewn this way. 5. 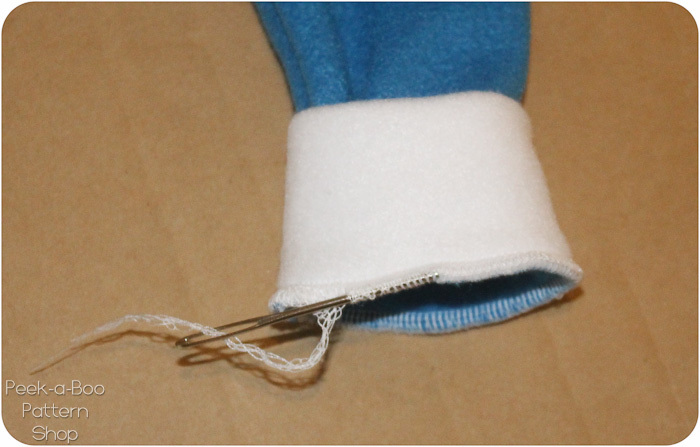 If you used your serger thread the tail end through the stitching with a yarn needle to keep it from unraveling. 6. Flip it down and you’re done! 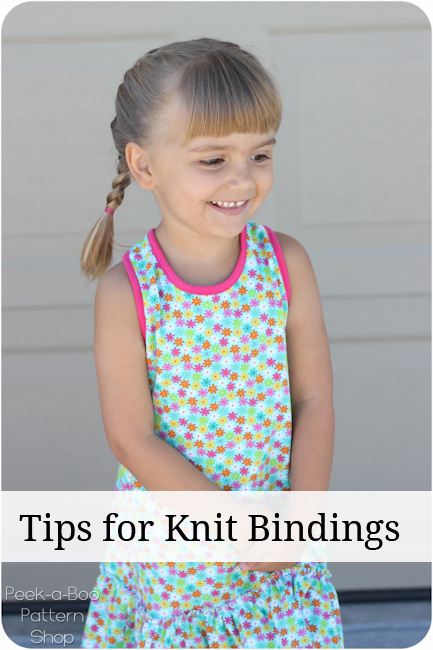 If you used knit you can give it a quick press (don’t press fleece or it will melt). And since they’re too adorable not to share here’s the finished pair of PJs! Come back tomorrow for help sewing the perfect waistband! Oh my goodness! He is such a cutie! Great tutorial! 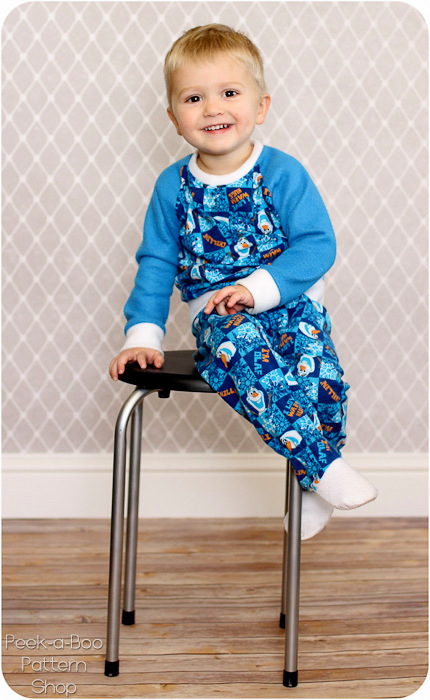 Amy, I need help in printing off the Alex & Anna PJ’s. The 1″ square is just a hair over 7/8’s not 1″. What do I need to do to set my printer up to get the 1″ square? Please advise.